For those of you who have been waiting to scoop up a HTC Vive VR headset, now might be a decent time. No, it’s not on sale (…yet), but instead of going through HTC’s awful “pre-order” experience like we had to when it first launched, HTC announced that headsets will now ship between 2-3 business days after purchase. Not only that, but many retail partners will have units on-hand, granting you access to demos and an official place to buy it offline. As for where you can find a Vive, you can start at many Microsoft Store, GameStop, and Micro Center locations. Anyone who placed a pre-order through one of these retailers should see their purchase fulfilled this week. 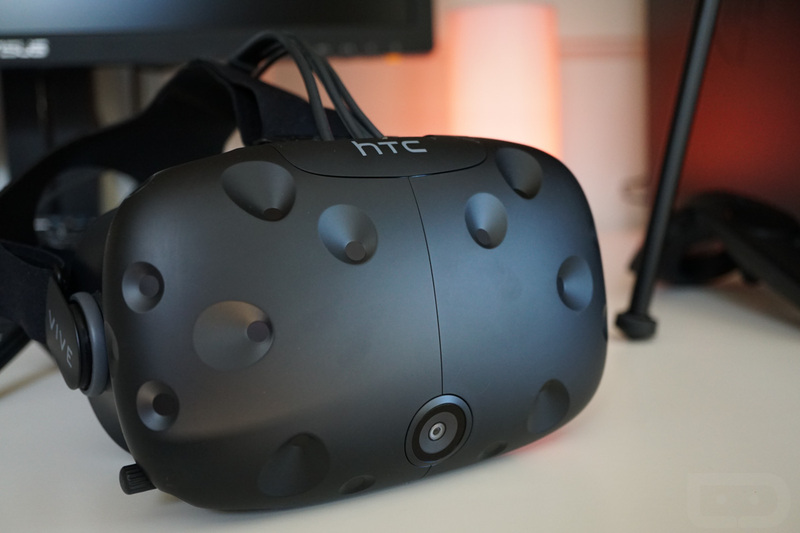 Starting this month, HTC Vive will be demoed in 100 retail locations throughout North America. In addition to the current list of retail demo locations, Microsoft Stores will expand from 29 to 51 locations, GameStop will increase demo locations from 10 to 40, and Micro Center will add 5 more locations for a total of 10. We have a Vive in the office, and according to Kellen, it’s still pretty sweet. Mind you, that’s coming from someone who originally did not care for anything VR-related. He’s a changed man, apparently. Do you own a Vive? Please, let us know how you like it.